As the rain begins to slow and spring emerges, pests begin to come out as well! 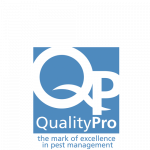 Here at Pioneer Pest Management, we believe that preparation is a great way to prevent seasonal pests. We’d like to help you prepare for the 5 springtime pests we see most often in the Pacific NW. 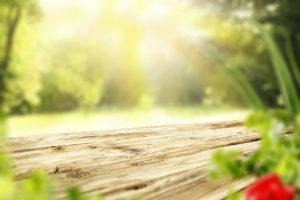 These sun-loving nuisances can overwhelm houses in spring. Boxelder bugs have most likely crawled into a home in fall, preparing for winter, and are now emerging as the weather begins to warm up. They will congregate on sun-warmed walls and surfaces. There is good news: box elder bugs don’t breed inside, they don’t eat human food sources or personal belongings, they don’t lay eggs inside, and they don’t bite. 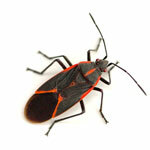 Boxelder bugs do have a tendency to be annoying, as they fly around inside trying to get out. Their feces can also stain curtains and upholstery. The best way to get rid of boxelder bugs is to vacuum them up. Once you’ve eliminated them inside, seal exterior surfaces and interior holes. If you don’t seal your home properly, the problem will repeat itself next fall and spring. Infamous for their odor when crushed, these ants are also known as “sugar ants”, because of their attraction to sugary substances. Odorous ants use a complicated network of pheromones to establish trails, both inside and outside of your home. These pheromones tell the ants where resources, possible danger, and their nest can be found. While they can be found inside homes in any season, spring seems to bring a surge of them every year. Controlling food sources is a big part of preventing and eliminating odorous house ants. Although they prefer sugar, house ants will eat anything. 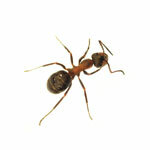 Regular sweeping and mopping, as well as counter cleaning and proper food storage, can help a lot with ant control. The key to eradicating odorous house ants is to eliminate the trails they have established. As you remove ants from walls or counters, we recommend wiping down surrounding surfaces with a mix of soap and water. 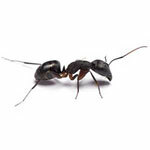 These well-known ants cause a lot of destruction every year, emerging in spring and remaining active through the fall. Sawdust piles beneath wooden structures. Small holes in wooden structures, known as “kick-out” holes, where carpenter ants have kicked out sawdust produced by their tunneling. Flying carpenter ants inside the house, especially during spring. More than ten carpenter ants seen inside your home at one time. There are two steps to take when eliminating carpenter ants: finding the “parent” nest (usually outdoors), and removing ants from within the walls. It’s important to eliminate the parent nest first, because this colony has the queen in it. Without the queen, the colony won’t be able to reproduce, and will slowly die out. Removing the parent nest and the carpenter ants within the walls ensures your infestation will be eliminated. These birds have become well-known for their nesting habits. 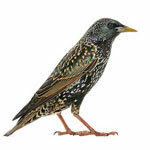 Starlings will nest in almost any available cavity, including eaves, vents, chimneys, and ductwork. They breed from January to around June, and are notoriously loud. Starlings feed on grubs in spring, and will also feed on garbage. Controlling starlings involves a practice called “exclusion”, wherein the cavities they might nest in are sealed up. As spring begins, inspect your home for any cavities that might house a starling nest, or any holes that currently have birds in them. 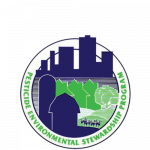 Consult a professional pest company that has experience with birds to remove them, and then either seal the cavity or place fine mesh over the opening, thereby excluding the starlings permanently. Norway rats are larger than the black rats (roof rats) that are also common in the NW. Norway rats prefer to live on the ground, either underneath houses in crawl spaces, or even in burrows underground. Norway rats aren’t likely to infest your attic, but will take up residence in any ground floor space they can crawl into. Norway rats are prolific breeders year-round, but especially in warmer months. Their population can quickly get out of control. 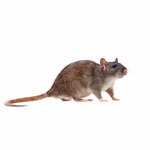 Because these rats can burrow underground, will breed quickly, and will feed off of nearly any substance, professional rodent control is usually necessary to completely eliminate their population from your home. Once the Norway rats are gone from your home, it’s important to fully seal any holes or cracks that would allow them to come back inside. It’s also crucial to eliminate food and water sources, including securing garbage. Spring is a busy time for a lot of animals and insects. 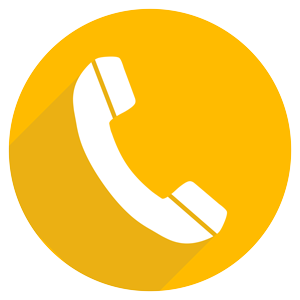 At Pioneer Pest Management, we want to give you the service and tools necessary to keep these pests at bay and outside–where they belong! 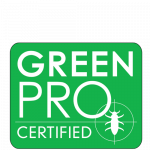 If you’re concerned about spring pests, give us a call. 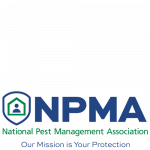 We’re happy to provide long-term, seasonal pest control!